There has been a lot of speculation around Eden Park's viability- both in the media and elsewhere. We were aware there had been discussions around funding for quite some time and always expected Council to continue to support Eden Park. So it's good that this support has been confirmed and that the ridiculous scare stories that Eden Park was failing and needed concerts or it would become state housing can finally be put to rest. That was never going to be the case, and we see this as reaffirming Eden Park's key sporting focus. The taking over of Eden Park debts on favourable terms, provides interest savings on top of the annual grant of $3.2m. To put the Council support into context, the yearly cash injection, and interest savings, make an even better contribution than hosting a Lions tour every year. So it was good to see that this is now likely to happen as part of Council's decision, and will add even more profit and cash to Eden Park's bottom line, and future security. However there continues to be a campaign around concerts. Both are at same scale, and measurements are taken from stage/speaker tower locations. Reimers within the grounds of Mt Smart. And the topography of the area will see high volume noise spread over a considerable distance. Update re submissions. There was a lot of miss-information around submission numbers and support / opposition. Having now gone through submissions and removed the out of area ones (even as far as Wanaka!) we see that the majority of local submissions opposed the concert proposal. Eden Park Trust have indicated they will withdraw their concert application. Eden Park has no noise limits worked out in the Unitary Plan for concerts. Eden Park has tried and failed to get concerts multiple times. Eden Park applied to work all through the concert night/next day on dismantling. Eden Park provided no details on pack in/pack out noise. Eden Park used noise models lower than Forsyth Barr. eg athletic track and fields for other activities. 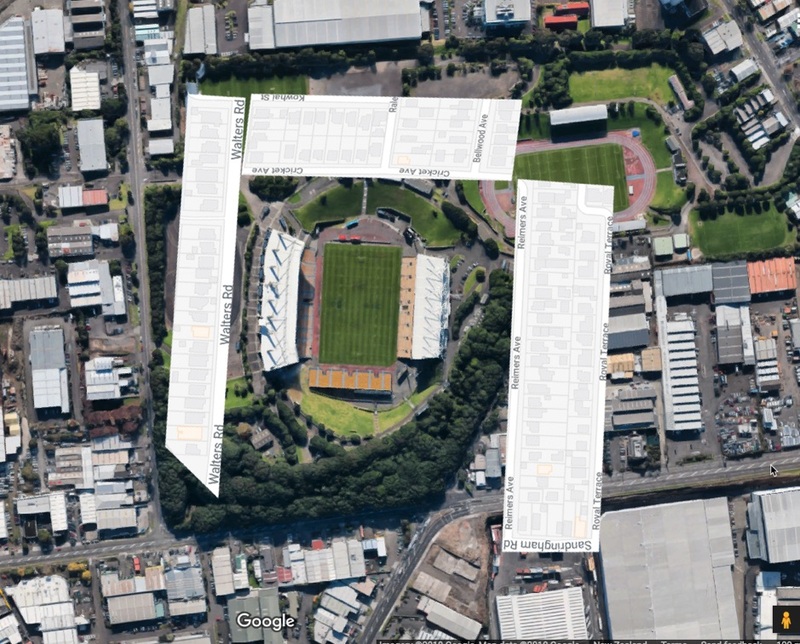 The image below is an overlay of the closest streets around Eden Park, measured from front/centre of a stage. There have been a number of incorrect media statements recently. Itâ€™s worth returning to the big picture. Â· Eden Park has no noise limits worked out in the Unitary Plan for concerts. Â· Eden Park has tried and failed to get concerts multiple times. Â· Eden Park applied to work all through the concert night/next day on dismantling. 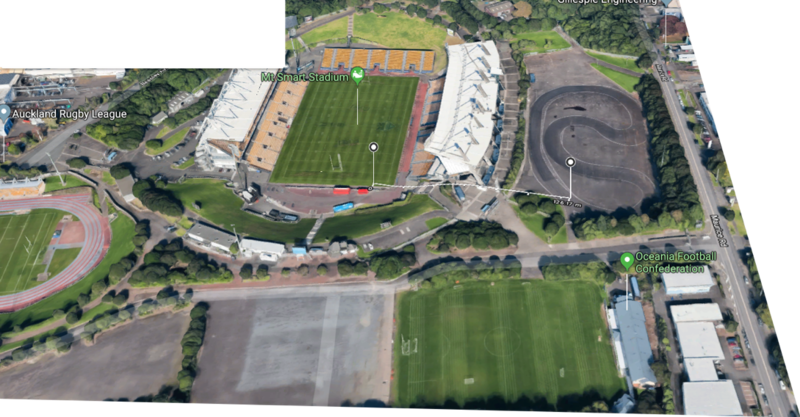 Â· Eden Park provided no details on pack in/pack out noise. 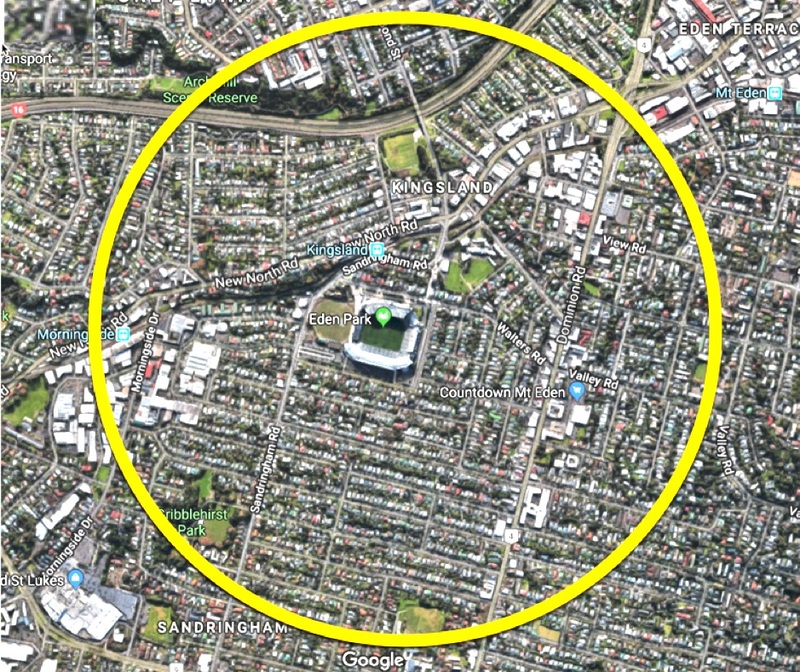 Â· Eden Park used noise models lower than Forsyth Barr. Over the last few months there has also been a stream of assertions that Eden Park use to underpin the need for concerts. A half Billion $ asset. â€“ costs/revaluations to date are $ 268m - thatâ€™s the value invested to date by rugby and cricket and the government. They have a $442m insured replacement but thatâ€™s irrelevant. In the last 3 years they have repaid loans of almost $3m (Loans: $52.3m in 2015, down to $49.5m as at Oct 2017). And they still have $2.3m in term investments. Most of these loans were due to extra things the Trust wanted from the RWC redevelopment eg new East stand, above that funded by the government. They made a $4m profit last year before depreciation. They also took $640,000 out of the wider charity fund pool for other charites via Pokie fund applications granted last year. Eden Park always makes a profit pre Depreciation. While they choose to depreciate buildings faster than other stadiums, it is just an accounting entry. The previous depreciation for the old South stand wasnâ€™t expected to fund a brand new replacement, and government funding was used instead. This will be the case for any future replacements. Therefore on a pre depreciation basis the Trust is profitable, and as above is repaying debts. Apart from major sporting events, they undertake numerous other sporting events eg No 2/training facilities etc. They also hold 1000 functions a year, many of which a large school balls, corporate functions. And of course full daily use as offices. It is an intensively used site, and therefore had appropriate planning rules. This scare tactic was used in the â€œpushâ€� survey. 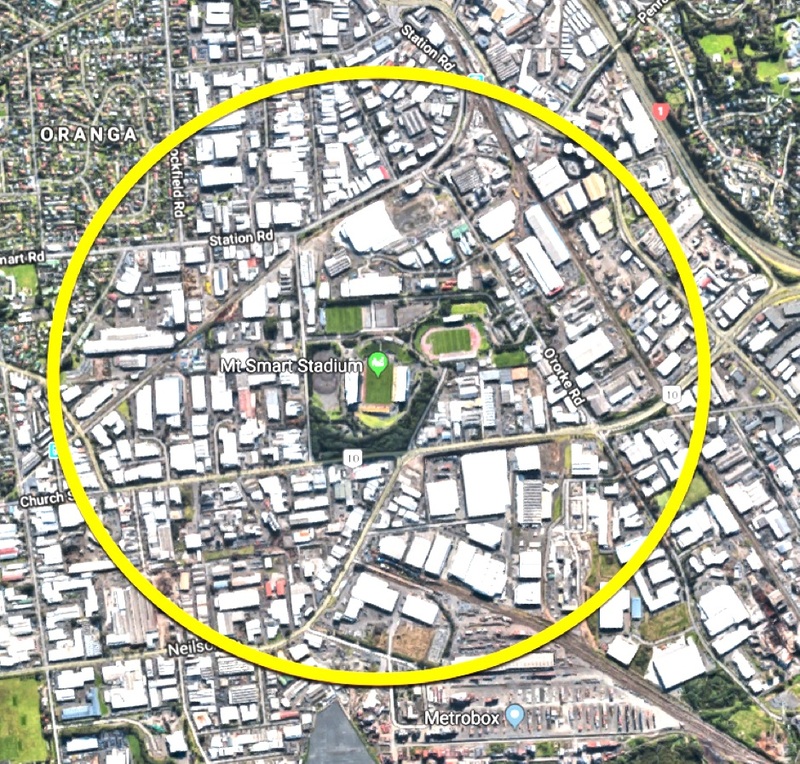 Factually, there is no existing proposed CBD alternative that would see Eden Park closed. And that if the region and sports codes backed a CBD option, it wonâ€™t be for another 10-15 years. Regardless of concerts. In fact if Eden Park get concerts it will reduce Council revenue, and increase our rates. BUT â€“ there would need to be a proper plan change done to the Unitary Plan for new uses. This would be open to submissions, appeals etc. With a large site like this, it would get a proper coordinated plan. At any rate as a local community, we would have a say via a Unitary Plan change. These assertions have taken hold with some people, so worth the actual facts above. Eden Park starts concerts push with a NO NOISE LIMIT application !! Submissions close 5pm 12 July. Eden Park want to be "concert central". This could mean 6 concerts or more a year. To start this they have applied for a "charity" themed concert. The application highlights their continued belief that they should have no constraints, by having no noise limit. By applying without a noise limit, they appear to want to ignore the residential constraints and to run an event at whatever set up and noise level they want - regardless of impacts on the neighbourhood. neighbourhood a less attractive area to move in to. Eden Park have applied before - declined by Independent Commissioners and Environment Court Judge. As part of the increase in night games from 16 to 25, they withdrew concerts and assured Council, the Environment Court and ourselves they would concentrate on sport and not concerts. Previous applications at least had a noise level limit proposed - albeit at a level deemed unacceptable - this one does not. While linked to a charity, the event itself looks fully commercial, and it doesn't detail charity funding sources. Given the charity hasn't confirmed/signed the artist, telethon parts etc, there is a very real chance that if the event doesn't go ahead after gaining consent, Eden Park Trust could keep and vary the consent (likely non-notified) to a later concert of their choosing. So relying on the "charity" element as justification, comes with risks. top of Terraces and base speakers across front of the stage. etc how this will affect you for this concert. â€¢ detail the impacts from the later finish time for the concert. sound testing, checks and all the normal day to day events in Feb/March. Become a member / or update member email details. If you are already a member please make sure we have your current email address. If not a member you may want to join by sending send through your application and details by email. Confirming that you are a member updating details or that you wish to join EPNA, and provide your name, address and email details. We are also going to need to build up a fund for the expert advice weâ€™ll need. Please note: The Association records membership and member details. Under the 1993 Privacy Act it is necessary to inform you of this fact. The details you provide will only be used by officers of the Association to enable them to conduct the business of the Association and may not be disclosed to outside bodies. You may request a copy of you information to check its accuracy at any time.